Located in one of the oldest buildings in Lodi, New Jersey — 17 Summer is an exceptional culinary adventure focused on modern Italian cuisine. 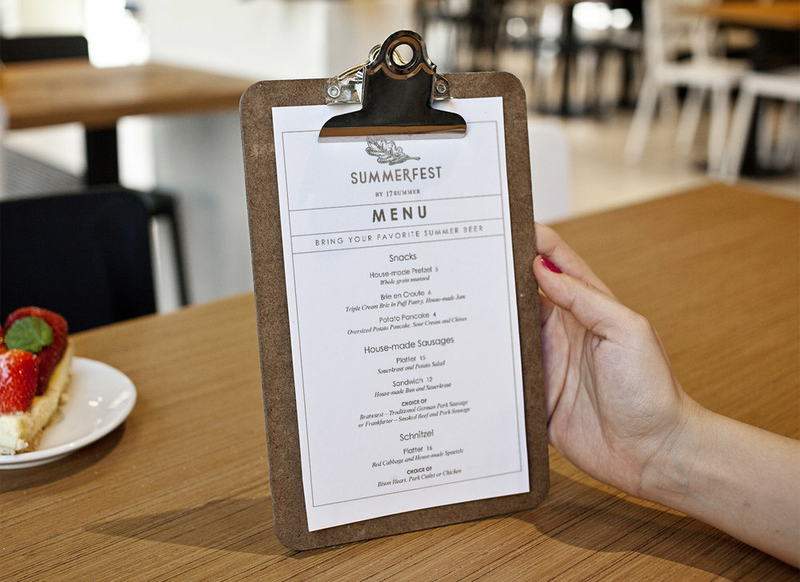 Created a logo and menu design to launch their first after hours pop up "SummerFest by 17 Summer". With a menu of traditional German street food, the logo was designed to feel unique but still tied to the location at 17 Summer and the brand that had already developed life-long customers. The existing brand's leaf was swapped for an oak leaf, which is not only Germany's national tree but also represents humble beginnings, endurance, and strength. A simple and clean menu design with a grid-like border was developed to highlight the select items.